Lines and wait times at the Student Center Post Office have steadily increased in length over time as students order more online, according to Tech administration. In response, the Post Office formulated solutions including plans to overhaul the package queue system, which could potentially lead to a 50 percent reduction in wait times. Since 2012, the Post Office at the Student Center has been working towards revamping the queue system with the goal of reducing wait times. Additionally, the current system seems to be in dire need of replacement, according to other officials from the Post Office. The Post Office made the decision to implement the SCLogic package system, which will effectively replace the current, student created software. The new software represents a 5-year investment totaling to about $51,000. Maintenance and upgrading costs are estimated to be about $16,000 a year. Funding for the software will mainly be sourced from the Student Center. Currently, both Vanderbilt University and the University of Alabama use the SCLogic package system. The software itself will theoretically prevent increased waits for students by reducing the time spent at the counter. However, Albany stressed that it is important for students to understand that measures such as the new software will not completely remove lines. They indicate that with the ever-increasing popularity of online ordering, wait times will likely never be a thing of the past. The Post Office plans on implementing the software in June, so that it can be tested and evaluated during the Summer semester. By the beginning of the Fall 2015 semester, the Post Office plans to put the software package into full effect. The Student Center Post Office opened in 1970 along with the rest of the complex. A 6,000 square foot partition was added in 1986, almost doubling the number of student post boxes available for use. 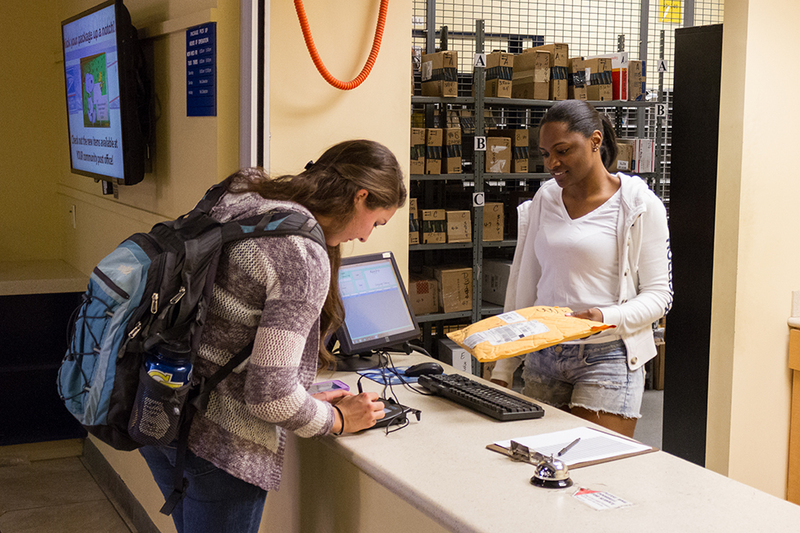 Currently, students are sent e-mail correspondence when a package addressed to them is ready for pick up at the Post Office. Packages are held for up to 14 days, after which they are returned to sender unclaimed.